Ships today if you order in the next 11 hours 2 minutes. 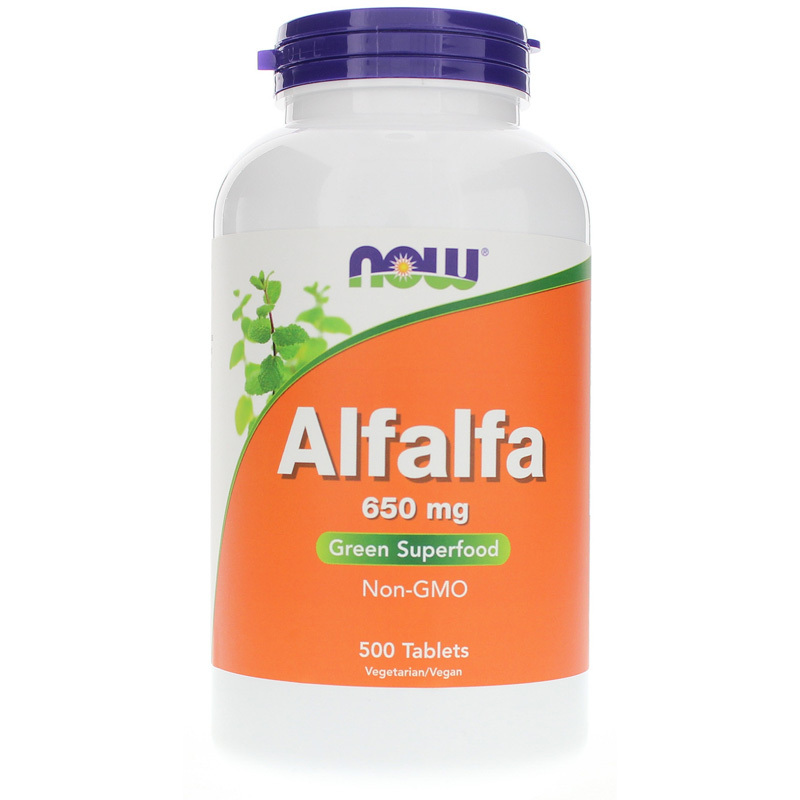 Alfalfa 650mg from NOW are a 10 Grain Green Superfood supplement that contains a rich source of vitamins, minerals and chlorophyll. 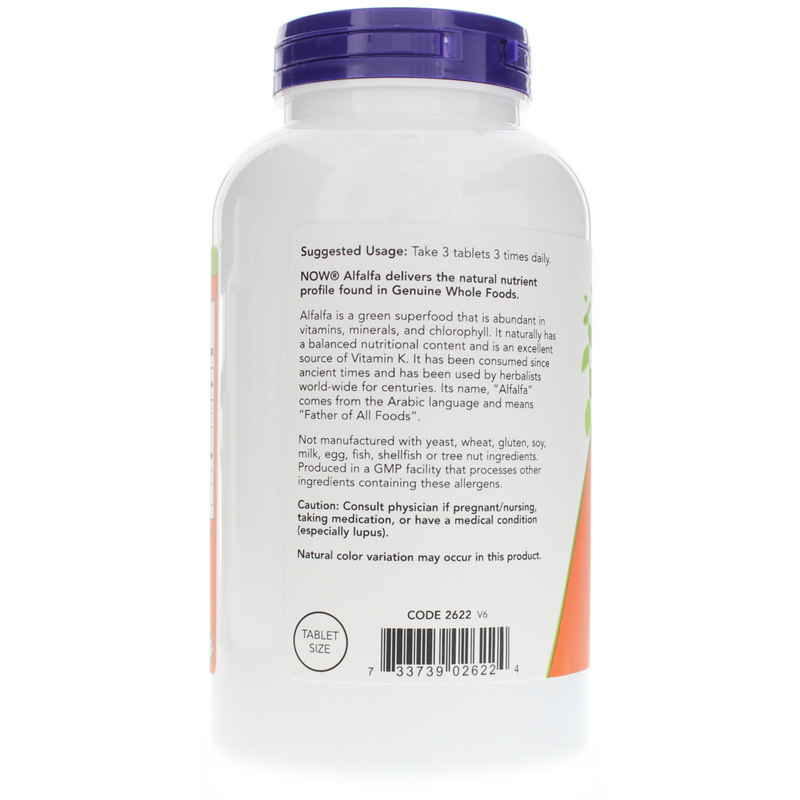 Ingredients: Alfalfa, dicalcium phosphate, cellulose, stearic acid (vegetable source), silica and magnesium stearate (vegetable source). 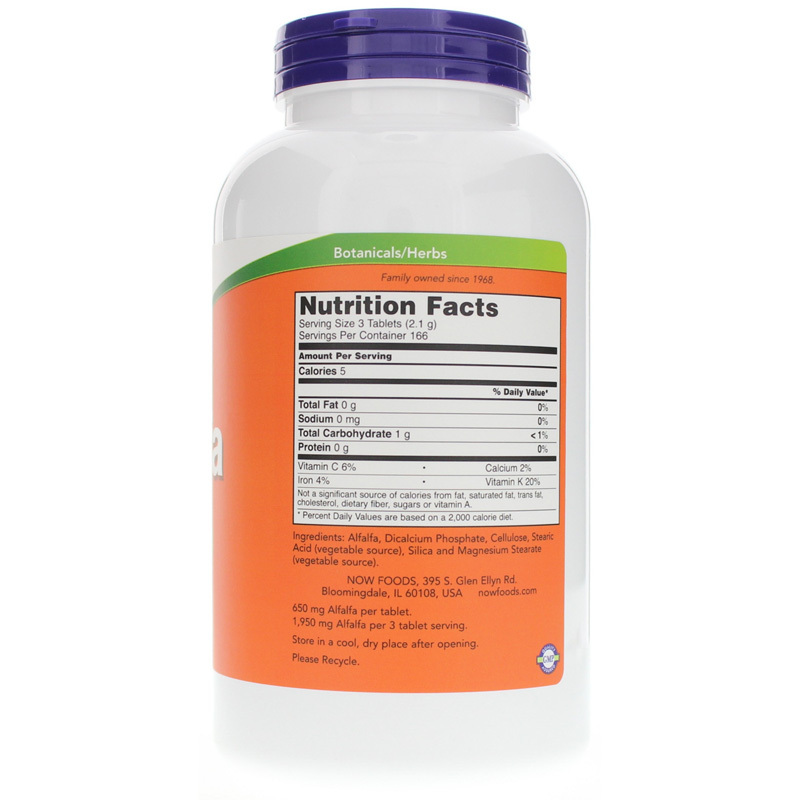 Not manufactured with: yeast, wheat, gluten, soy, milk, egg, fish, shellfish or tree nut ingredients. Non-GMO. Vegetarian/Vegan. Adults: Take 3 tablets 3 times daily. For adults only. Consult physician if pregnant, nursing, taking medications, or have a medical condition (especially lupus). Keep out of the reach of children.